Reflective heat transfer vinyl is perfect for apparel for construction workers, runners, cyclists, or children that need to be seen in low light conditions. 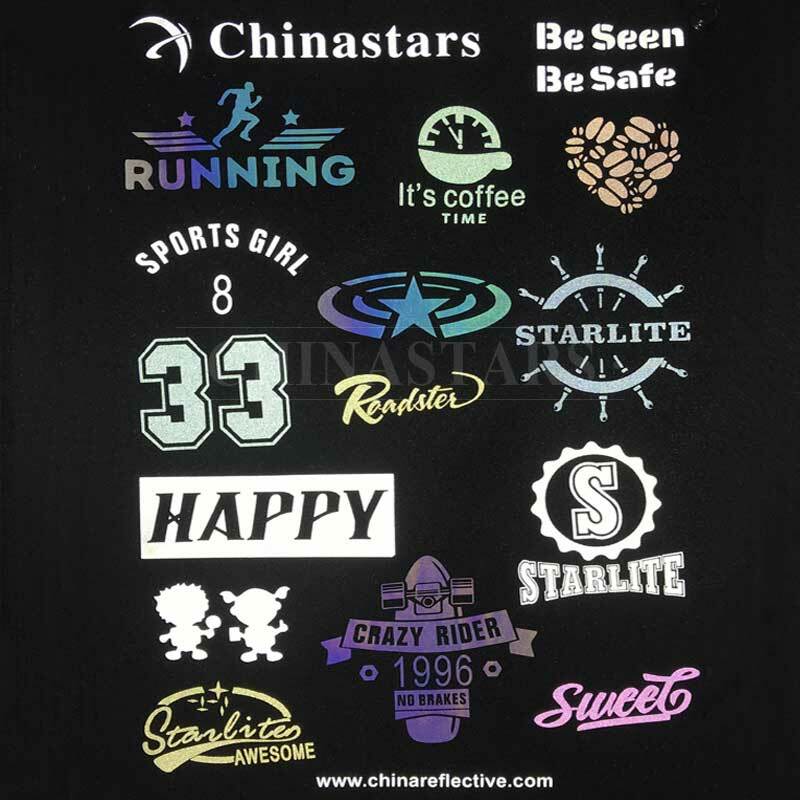 Chinastars' wide offering of reflective heat transfer film is sure to meet various customers' requirements, and target different base fabrics. We also have reflective heat transfer vinyl specially made for graphic designs. Features: Suitable for making iron-on reflective stripes or logo designs and letterings to apply on apparel and fabrics. Features: Specially designed for plotter cutting. 1) With thicker plastic film carrier, when do reverse cut, it won't curl easily or cut through the film carrier, making it easier to weed and remove unwanted material. 2) Also with stronger cohesive force between plastic film carrier and glass beads, the logo will stay on the film while cutting & peeling, won't fall off easily. 3) The sticky base enables the logo to stay on the film carrier when cutting & peeling, and peeling mistake could be revised which is very good for thin logos. The sticky layer also could fasten the logo onto fabric which makes heat transfer operation faster and more convenient. Features: Appears in colorful silver at night, colors customizable according to Pantone colors, suitable for casual wear. Reflectivity up to 120 cd/(lx.m²). Rainbow Reflective Heat transfer vinyl appears black in daylight; While at night when illuminated by light, it is able to show different reflective colors at different angles, which is absolutely stunning and eye-catching. It can be cut by plotter or laser machine into GRAPHICS, CHARACTERS and LOGOS and transferred to all kinds of fabrics by heat and pressure, such as sportswear, caps, bags, shoes etc. 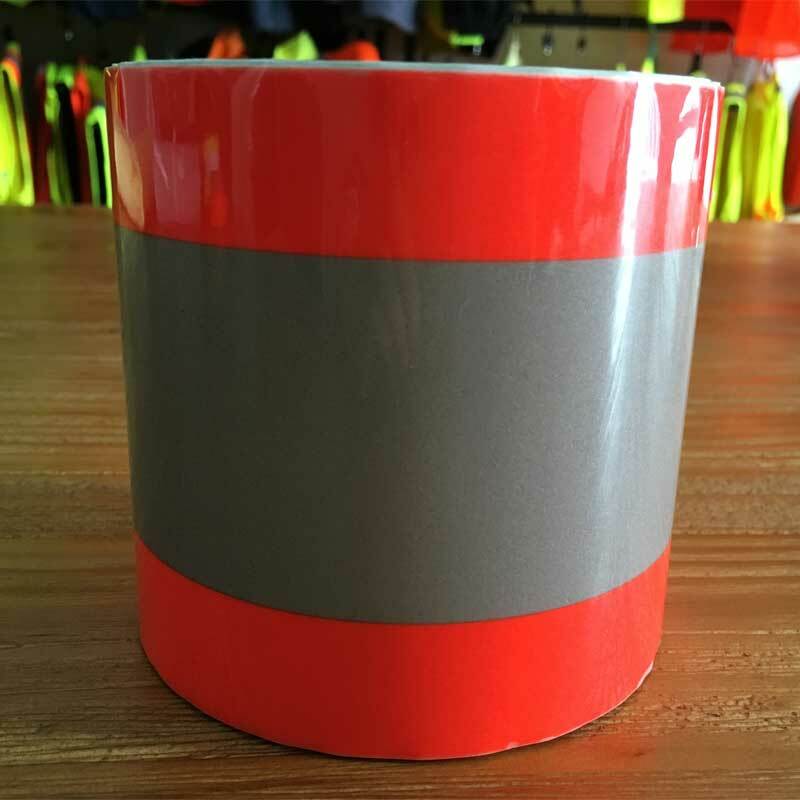 We are able to provide different shapes of segmented reflective heat transfer tape, custom logos and letterings of all sizes etc. to get increased breathability and be more fashionable. 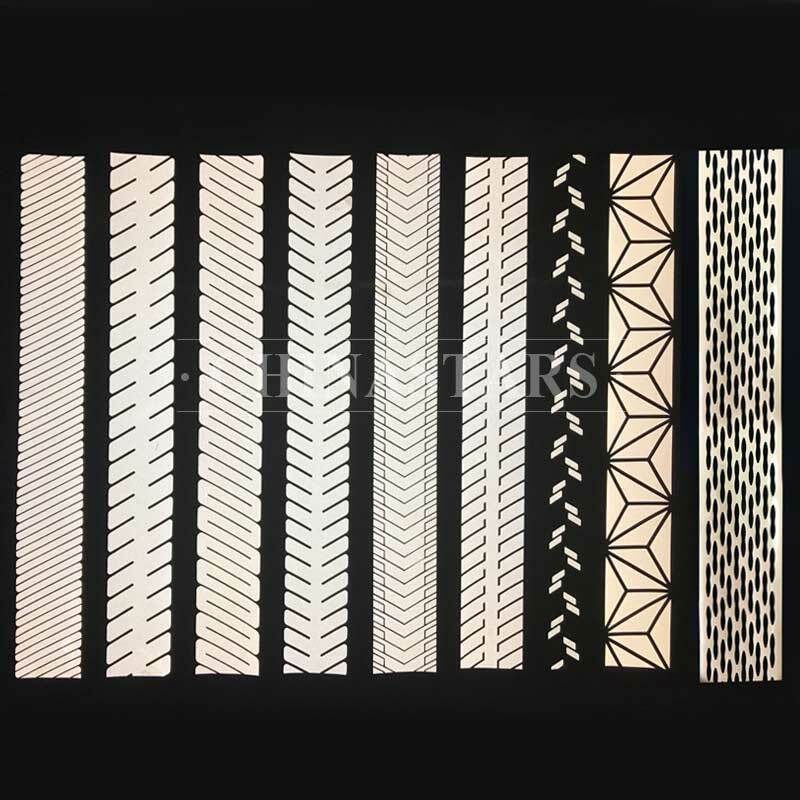 Features: Can be cut into different shapes of segmented films to get increased breathability and be more fashionable. Custom logos and letterings of all sizes are available with small MOQ. Suitable for making small size fine graphics with thin lines. Can customize adhesives to fit different base fabrics. Clear reflective film for screen printing enables to make colorful reflective logos with small MOQ. With thicker plastic film carrier, it won't curl easily when screen printing.